Nature needs us to work together. Support big solutions for wild nature now! Your gift to the WILD Foundation builds ambitious coalitions that implement large-scale protections for wild nature and strengthens a 40 year old movement for the defense of nature. You also become an ambassador for cutting-edge ideas that are so needed to help transform the way we act towards nature. More than 40 years ago, during South Africa’s bleak and racist apartheid era, two men joined forces to bring the White Rhino back from the brink of extinction. 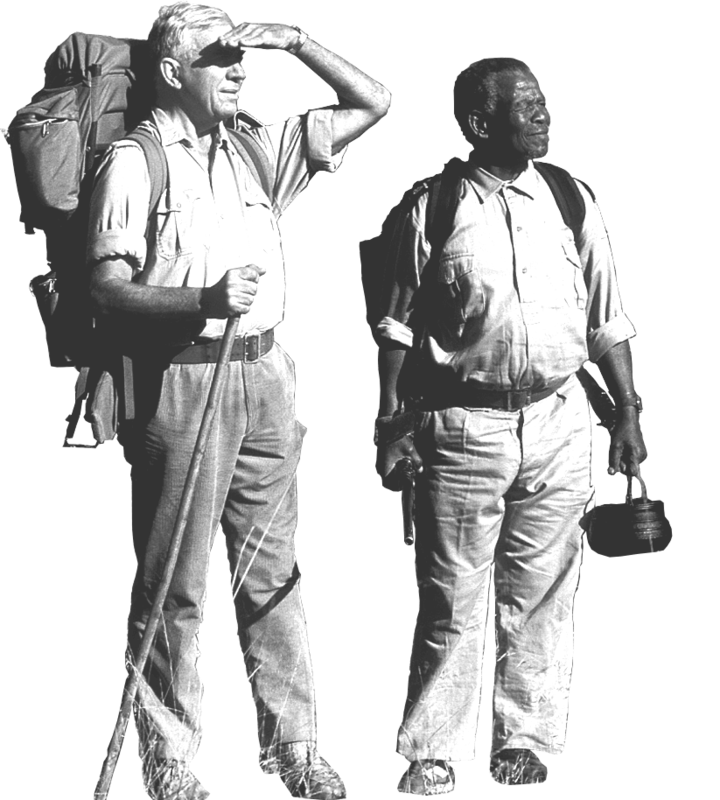 These men, a white and black South African, Ian Player and Magqubu Ntombela, went on to found the WILD Foundation to foster international collaboration and practical results for the protection of nature and the defense of our wild planet. WILD continues the legacy of its founders, embracing ambitious new solutions that achieve on-the-ground results for wilderness and the natural processes that serve all life. Solutions that include you. Join the movement to defend wild nature. How did you overcome your biggest challenges in 2017? We don’t have to tell you that doing good is rewarding, but rarely easy. What you might be curious to learn is what resources our conservation program leaders draw upon when the going gets tough. Discover more about our program directors and the conservation achievements they facilitate in our end-of-year blog series. When you give to WILD you expand opportunities to protect wilderness, wildlife, and people, and transform the relationship between society and nature. 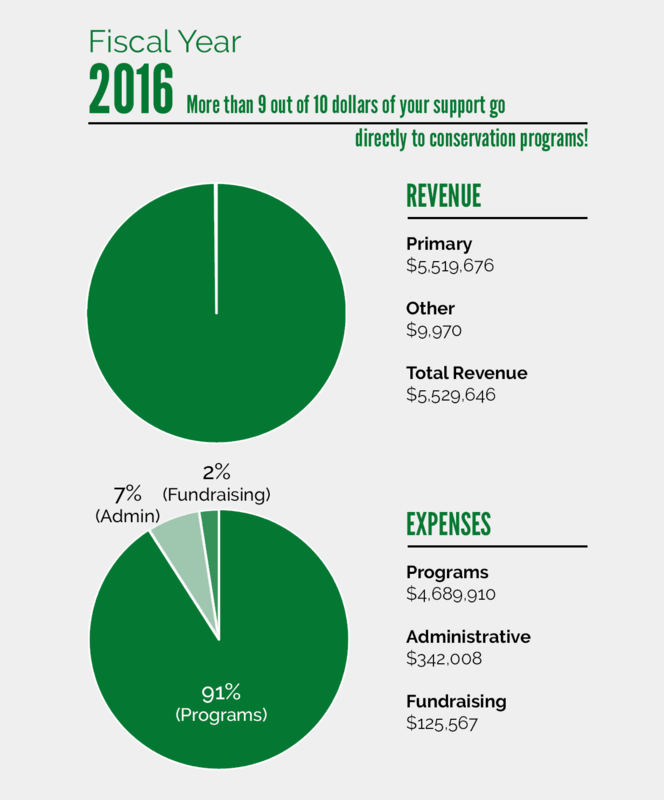 Over $9 out of $10 we receive goes to programs making a difference for people and nature, maximizing the benefit your gift has for the wilderness, wildlife, and people served by WILD. 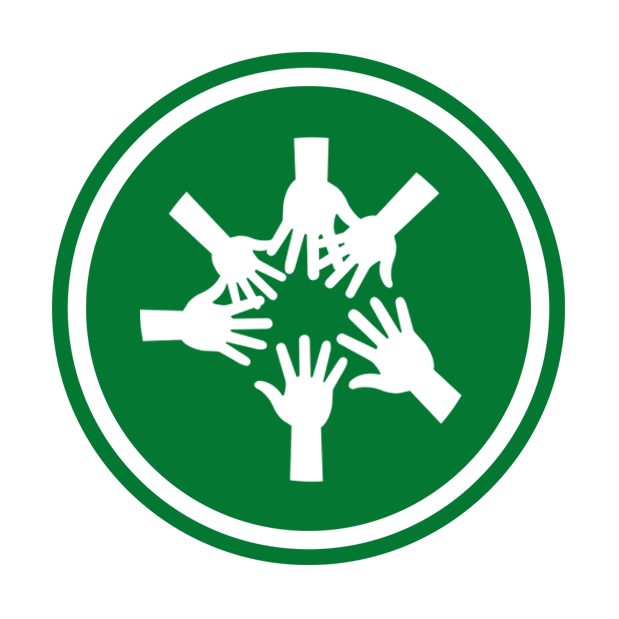 Did you know we receive the highest ratings on Charity Navigator? It’s true! Check it out for yourself and see why the WILD Foundation is a smart choice for giving. WILD is extraordinarily proud to present the work of acclaimed fashion designer and illustrator, Kersti Frigell. Kersti’s work has been featured in venues as varied as Bergdorf Goodman and HBO. 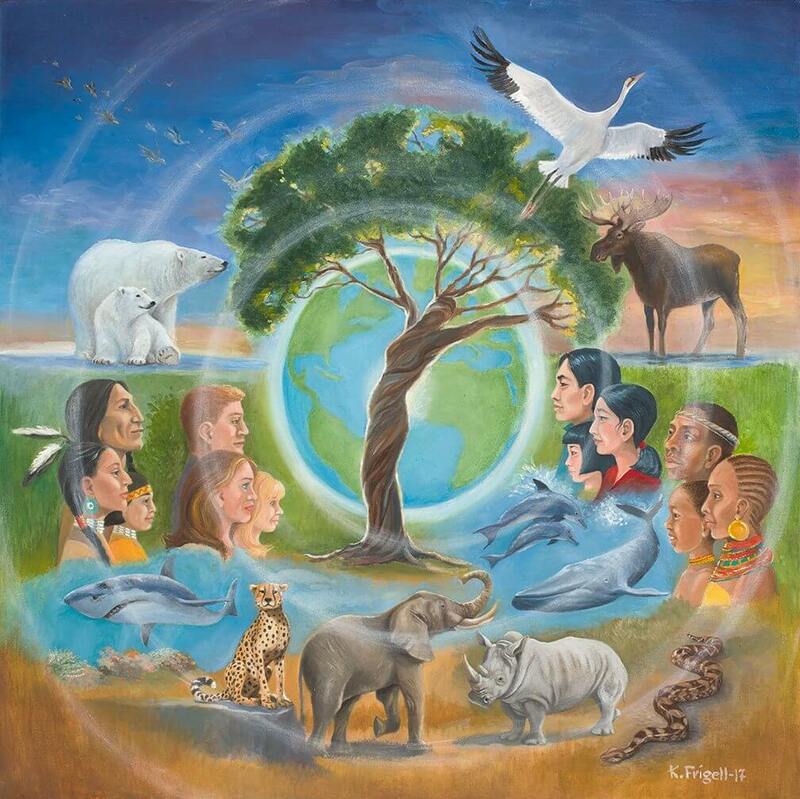 She has now brought her extensive talent to the WILD Foundation in the painting, Spiral of Life, inspired by WILD’s mission to bring people together and forge a truly global ethic of care and respect for nature. This is a limited edition, high quality canvas print sized at 24 x 24″. Only 40 signed and numbered copies are available. Be one of the first 40 supporters to give $1,000 or more to WILD before December 31, 2017, and you will receive this premium print. 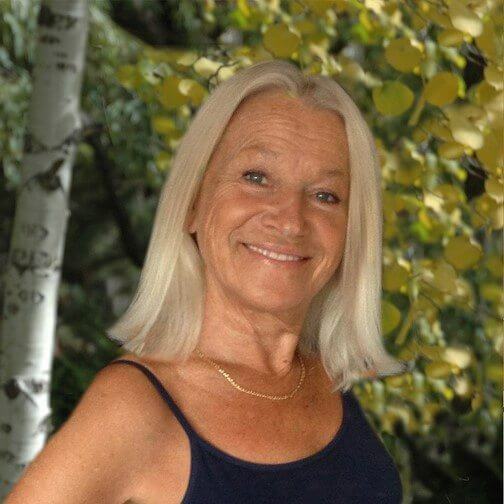 Kersti Frigell is the owner and creative director of Swede’Art, Inc. She was born, raised and educated in Sweden and freelanced as a fashion designer in Paris for several years before moving to the United States and starting her career as an illustrator. In the 1980s, Kersti and Annie Shaw created The Gallavants to help kids connect with nature and to understand that we are part of nature, not separate from it. An animated movie was created — “The Gallavants”, co-produced by Marvel Productions — for which Kersti was the Production Designer. The film has been shown on HBO and videos are available for sale in more than 30 countries.